Mr. Holland is an agent for First American Title Insurance Company and an approved attorney for Penn Attorneys Title Insurance Company. He has been counsel to the Greater Erie Board of Realtors for over 30 years. He is Co-Chair of MacDonald Illig's Real Estate Practice Group and was recently recognized by The Best Lawyers in America as a Best Lawyer in Real Estate Law. In April, 2017, the Board of Property sitting in Harrisburg ruled in Mr. Holland's client's favor in a quiet title action brought against the Commonwealth of Pennsylvania, Department of Conservation and Natural Resources. At issue was approximately 200 acres in Clearfield County claimed by the Commonwealth since 1923. Mr. Holland recently presented a series of seminars to the Greater Erie Board of Realtors regarding a broad area of topics. In May of 2014, the Commonwealth Court affirmed the decision of the trial court which upheld the validity of the upset tax sale involving several parcels of land in Fayette County. Mr. Holland successfully argued on appeal that the Tax Claim Bureau had properly posted the properties with Notices of Tax Sale, and that there was sufficient evidence of proper posting in the record to support the trial court's finding. The Commonwealth Court agreed and affirmed the trial court's decision upholding the validity of the tax sale. On December 16, 2013, the Pennsylvania Supreme Court in Horton v. Washington County Tax Claim Bureau and E.D. 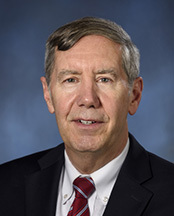 Lewis, vacated the Commonwealth Court's ruling and held that the Commonwealth Court's earlier decision in In Re: York County Tax Claim Bureau, 3 A.3d 765 (2010) was in error. In announcing a new rule, the Court ruled that "proof of mailing" required in 72 P.S. § 5860.602(e)(2) could be by means other than USPS Form 3817. As Mr. Holland was a witness in the trial, his partner Matthew W. Fuchs acted as trial and appellate counsel. The case was remanded to the trial court for further consideration on issues not addressed in the appeal. On March 30, 2011, a favorable ruling was obtained from the Superior Court of Pennsylvania ending an almost 10-year odyssey involving two appeals to the Commonwealth Court on an underlying upset tax sale (tax sale upheld) and two appeals to the Superior Court involving the issue of whether the property was subject to a claimed mortgage. In the unreported decision, the Superior Court held that the property was not subject to a recorded mortgage where no deed was recorded to the mortgagors, and awarded Mr. Holland's client over $9,000 in legal fees due to the mortgagor plaintiff's dilatory conduct. Mr. Holland successfully argued before the Commonwealth Court in upholding a favorable trial court decision in the case of Pacella v. Wash. County Tax Claim Bureau, 10 A.3d 422 (2010). The Commonwealth Court upheld the trial court's decision that there was no right of redemption after an upset tax sale and further held that the Tax Claim Bureau had complied with the publication requirements of the Real Estate Tax Sale Law. A favorable ruling was received from the trial court on behalf of a purchaser on a contested upset tax sale. The prior owner, a decedent's estate, argued that the Tax Claim Bureau should have notified not only the personal representative of the upcoming tax sale, but the estate's attorney and CPA of record. The trial court rejected the argument and confirmed the validity of the tax sale. Another successful ruling was obtained from the Commonwealth Court in Hysong v. Lewicki, 931 A.2d 63 (2007), a particularly complex and protracted tax sale matter originating in Washington County. The case was tried a total of three times before the trial court and involved two appeals to the Commonwealth Court and two petitions for allowance of appeal to the Supreme Court of Pennsylvania. The Commonwealth Court ultimately upheld the tax sale holding that the prior owners had failed to preserve any issues for appeal where they failed to file a motion for post-trial relief to the lower court's quieting title and upholding the validity of the tax sale. Mr. Holland closed a complex new construction purchase involving substantial disputes with the contractor/seller. He has assisted developers in acquiring sites and drafting necessary condominium and planned unit development documents. Mr. Holland successfully appealed to the Commonwealth Court a lower court's invalidation of an upset tax sale in In Re Upset Tax Claim Bureau, 965 A.2d 1244 (Pa. Cmwlth. 2009). The McKean County Court of Common Pleas ruled that the tax sale was invalid because the posted Notice of Sale could not be read from the road. The Commonwealth Court reversed and upheld the sale, holding that the posted notice did not have to be readable from the road, but only had to be conspicuous, i.e., reasonably likely to inform the taxpayer and the public of the sale. Former Member of Board of Directors of Hooked on Books!